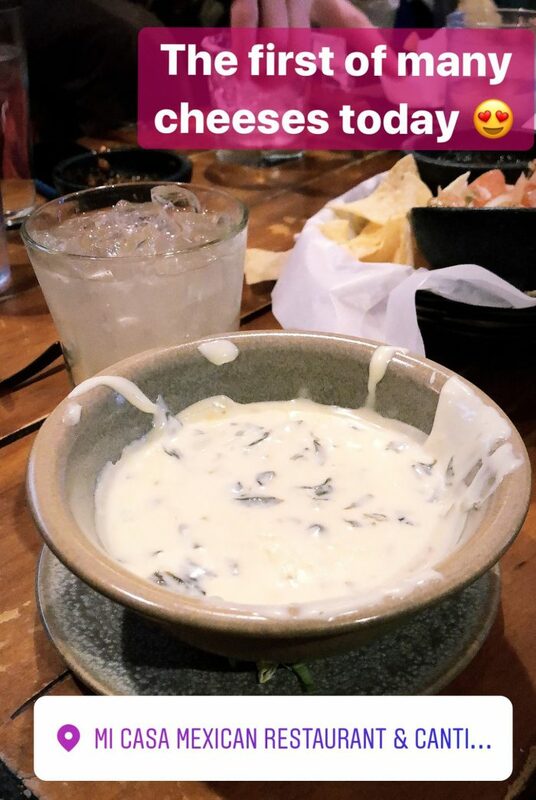 White queso is far superior. It’s like crack. I have been known to eat ungodly amounts of it. For some reason, this magical melted cheese is ridiculously hard to find west of the Mason Dixon line and north of Virginia. Honestly, I don’t know where in the north it disappears but it was rare in D.C. In the four years, I lived in Dallas, we only found white queso at one place. ONE! I actually got a text from a good friend overjoyed that he had found it at a Mexican spot in Deep Ellum. 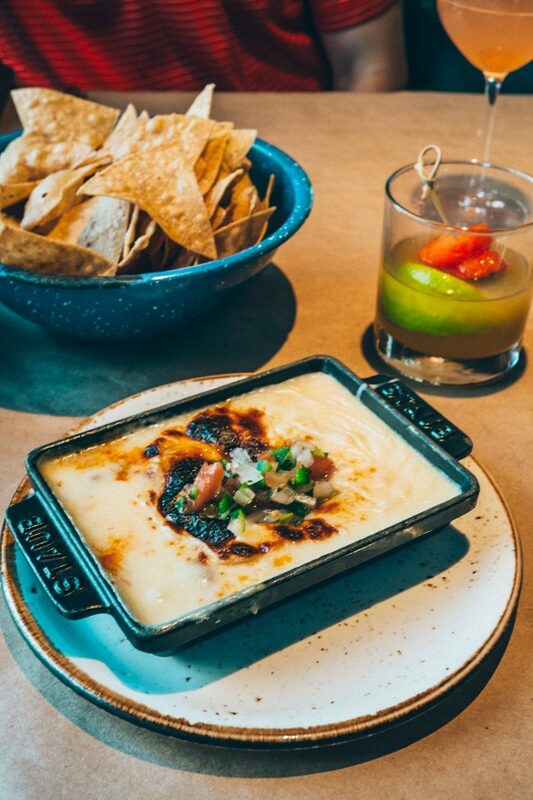 Now a hip part of town, Deep Ellum was a little off the beaten path in 2007 but we went, solely for the white queso. RIP Monica’s – you were a blast and a sanctuary for the white queso lovers of Dallas. When I moved to Denver I searched and search with no luck. Every six months or so I would Google “white queso Denver” only to find a few threads from 2011 and earlier of lost white queso worshipers wondering where to get their fix around town. Texts between fellow southerners revolve solely around finding the perfect white queso. ALAS! I have found the white queso!! Actually a few spots in Denver and one in Breckenridge. As I seek out more white queso in Colorado, I will continue to update this list. This trendy Mexican spot in the Dairy Block has been a favorite for a while. We actually ate here right after we finished the Whole30 in 2018 and I downed their queso. However, we recently returned in December and ordered the queso again. This time it was different. It was thick and white and delicious! We immediately asked our waiter if this version was new, turns out they had just switched up the recipe. We told him it was perfect and DO NOT CHANGE IT. Kachina brunch tacos are also killer. I heavily rely on Google reviews (vs. Yelp) so I figured I should probably start contributing, which I have done a so-so job of. 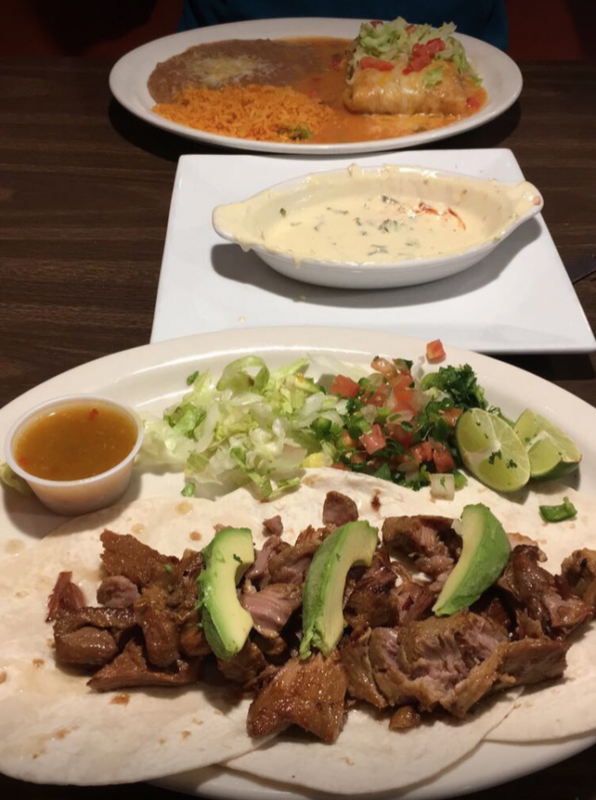 But when Clay and I went on search of good Mexican in Englewood, we were pleasantly surprised to find some delicious white queso at Los Portales Mexican Restaurant. I snapped a pic and added it to Google. Every once in a while I get a message from Google telling me X amount of people have seen my photo and I feel like I have contributed to the greater good. I am going to let you in on a little secret. Moe’s has white queso. 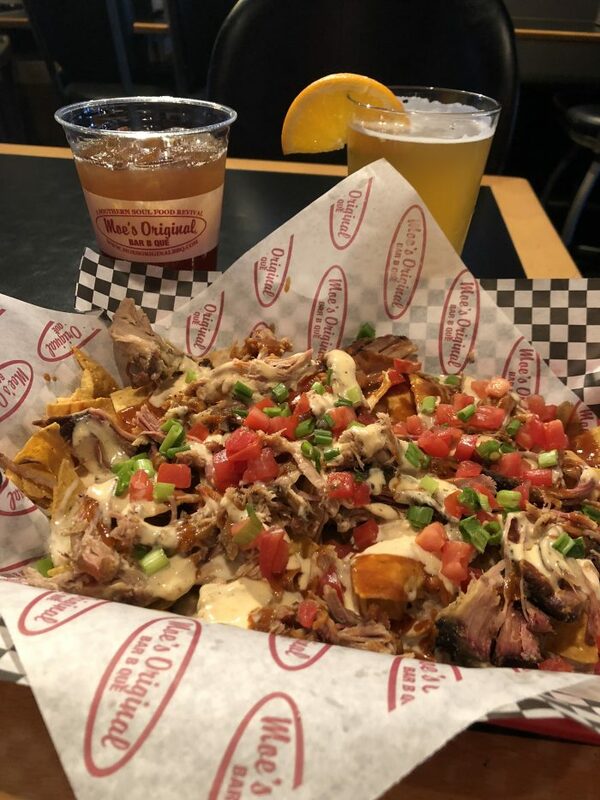 I discovered this when I ordered the Pork BBQ Nachos in the summer of 2017. Since that time I probably had over 50 orders of these nachos no joke. I had an addiction. We basically did Whole30 to kick the weekly habit. For years this was my only refuge from the yellow queso of Colorado. I have ruined many a dinner by eating way too many chips and queso. 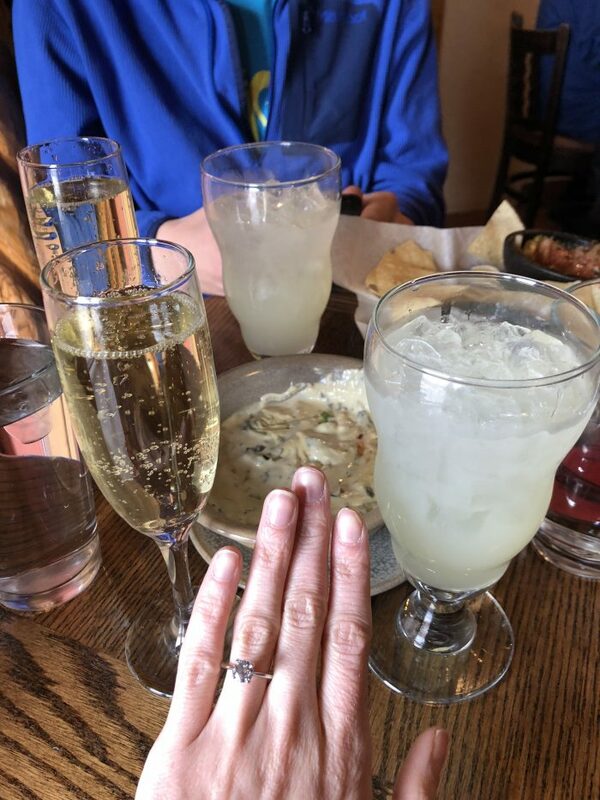 When Clay and I got engaged, we came right to Mi Casa to celebrate with margs, queso and champagne. Mi Casa will forever be my go-to spot in Breckenridge. Of course, the genius behind my favorite pizza in the world serve delicious white queso in their Mexican joint! DUH! 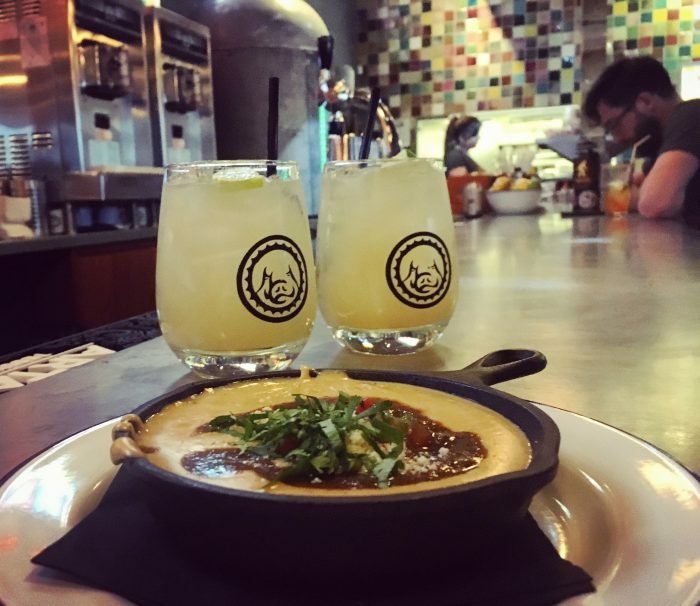 Bonez in Crested Butte is always a good choice – killer margs food and of course white queso. 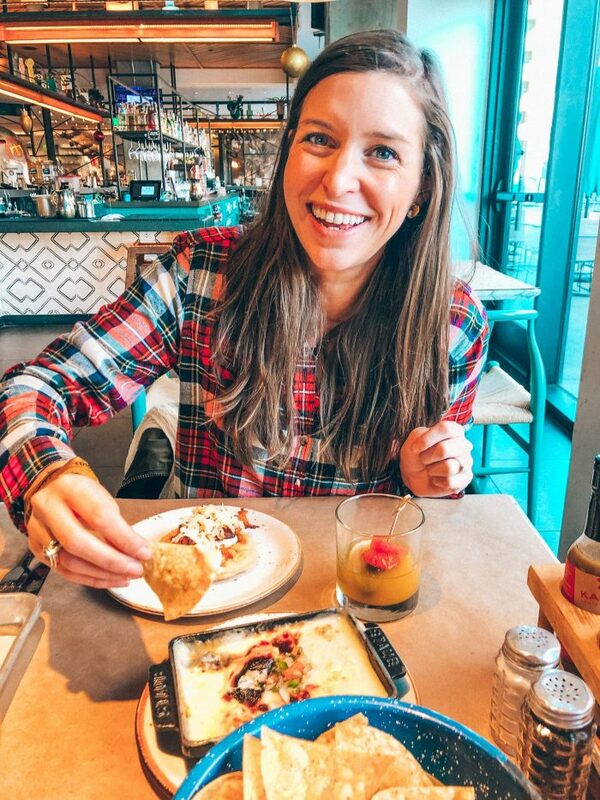 Our go-to Mexican spot in the hood, Cochino has killer queso, margs and frozen palomas! Great for happy hour, groups and cheap delicious queso and margs. Be careful with the margs, they will get you turnt. Okay, The Pioneer does have white queso, and it is good but the chips are not. They are not normal chips. They are giant circle chips you have to break up to dip which means they just crumble into a thousand tiny pieces. GET NEW CHIPS! 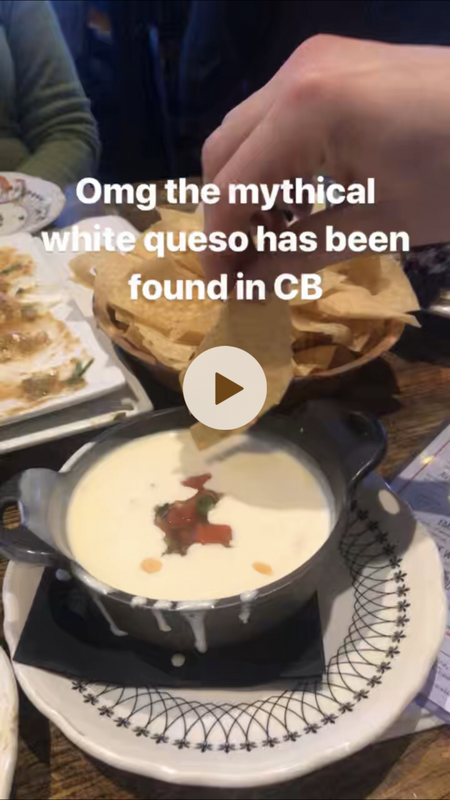 Have you found white queso around town! TELL ME!! Slide into my DM’s, comment or tweet me! For more Denver food recommendations check out my Denver guide here. You’re missing Noa Noa on Santa Fe! Ohhh I haven’t been there!! Add it to my list to try!